Feeling adrift in your kitchen? Then an island is a must! Whether you use yours as a baking station, homework hotspot or a seating area for guests to socialise with the chef, one thing is for certain; a kitchen island creates a space where the family will naturally float together. However, as they do take up quite a lot of floor space, it’s important to get the most out of them. Top of the list of things to consider should be your kitchen’s layout, which surfaces work best and any added features that will amp up your island’s functionality. Easily customisable to any style and with so many diverse uses, a modern kitchen simply isn’t complete without one. Oval, L-shape, T-shape, U-shape, the list goes on! With so many styles to choose from, it can be a tough decision picking the right one to fit your kitchen layout. Firstly, to figure out an appropriate size, keep in mind that a standard aisle should be 36” wide or 42” wide, allowing two people to comfortably pass each other. Next, decide the shape by thinking about what would maximise the efficiency of your current layout. For trickier shaped rooms, long islands with banquet seating work well in galley kitchens, whilst a perimetre island is ideal for framing large, open floorplans. Also, not enough can be said about contrast. Dream kitchens are created by mixing and matching different materials. So if your regular countertops are light and polished, be bold and top your kitchen island with dark stained wood. Don’t forget, you can always dress up under-island cabinetry too, making them pop by painting them with a punch of colour. Avoid cluttered shelves, by installing deep cabinets and drawers into your kitchen island. A combination of open and closed storage means you can showcase your best stemware whilst hiding away unsightly appliances. Counter space hogs, such as microwaves and icemakers, can often be built-in as well, although leave enough of an overhang so chairs can be tucked underneath and knees can fit when sitting. A couple of easy add-ons would be a towel rail attached to one of the ends or hooks suspended from above to keep pots and pans within easy reach, it’s these features that will make all the difference. Don’t have enough space for a permanent kitchen island? No problem, try a butchers block or a mobile kitchen cart instead. Not only do they add essential storage space and prep stations to smaller kitchens, but if you find one fitted with lockable wheels you can easily roll them out of the way. Plus, it makes washing the floor a cinch! To tailor it to your own personal style, why not repurpose a vintage piece? Cheap and effective, you could use a dining table, steamer trunk or even convert an old dresser, really anything you can imagine! 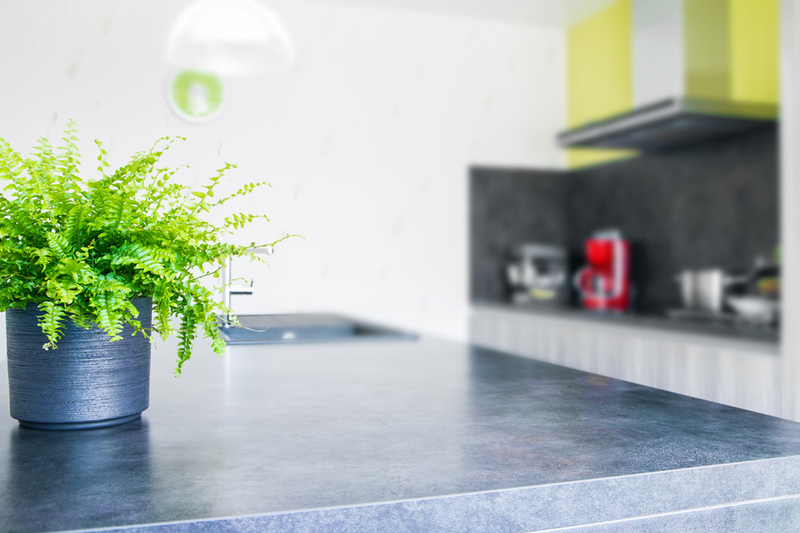 Speak to an expert about creating the perfect focal point for your kitchen by contacting Black Rok Kitchen Design now. We also have showrooms open in Uckfield and Heathfield.